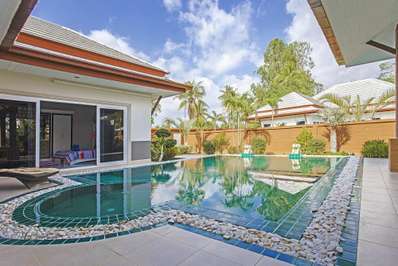 The Tamarind is situated 25 minutes from Jomtien and 30 minutes from Pattaya in a wonderful countryside setting of unparalleled beauty at Bangsaray. The retreat is geared towards the discerning traveler who wishes to sample that special slice o real Thailand with everything you could possibly desire at your fingertips. The relaxing atmosphere revitalizes the soul and replenishes and rejuvenates your energy. If you are looking to get away from the stresses and worries of the modern world, Tamarind is your much needed medication. Within a 30 minute drive, you can enjoy an amazing amount of attractions such as golf courses such as Phoenix, the Royal Navy Course, Siam Country Club, Century Country Club and Pattaya Country Club. As you can see, the Tamarind House is ideally located for golf lovers. These two beaches are uncluttered and un-crowded, allowing you that special and authentic paradise beach environment that Thailand is famous for. Another great feature of the location is that you can reach Suvarnabhumi Airport within an 80-minute. The airport is situated on the outskirts of Bangkok, being the country's major international airport. Once in every while, you find a house that breaks the mould, sparks emotion and ignites a fire within the core of your soul. The Tamarind House at Satahip is not just a home – but more of a complete concept where every room has an individual theme that fits together like a jigsaw puzzle. Some would call it a house, some would say a resort, but we believe that Tamarind is the ultimate tranquil retreat that endeavors to offer you a slice of real Asia whilst providing you with creature comforts and amenities that will make your holiday a memorable yet exotic experience. Tamarind successfully merges a wondrous countryside environment perched at the foothills of Kao Krating upon a scenic private estate, with a truly inspirational Balinese design that is steeped in the ‘wow' factor. With individually themed and named bedrooms/suites, tennis courts, comfortable salas, a centerpiece swimming pool, cinema room, a team of staff to cater for your every whim and a separate communal clubhouse, all surrounded by luscious vegetation and untold beauty, the Tamarind House is reserved for visitors who have an eye for style and the finer things in life. The estate is ideally geared towards large parties travelling together and would make the perfect venue for business weekends, seminars or team building exercises. Sample an authentic slice of Thailand's dramatic countryside terrain, while enjoying modern comforts and a location that is private but within a 25-minute drive of the main tourist attractions and activities of Pattaya and Jomtien. The little things are what make the world go around. Attention to detail is something lost in the modern world of mass consumption. Individuality and uniqueness are the only ways to describe the bedrooms and suites of the Tamarind House. Imagine waking up each morning, opening your door to the swimming pool just footsteps away. The pool villas at Tamarind allow you direct pool access and also own high pitch vaulted ceilings, flat-screen TVs, wireless internet and Bose surround sound music systems. This distinctively Asian styled villa sleeps two persons, and sports a Burmese rattan-lined ceiling and subtle lighting. The built-in king-sized bed and silver silk cushions alongside a minimalist design that oozes a Japanese feel provide that real Asia environment. The ensuite bathroom blends stone made features with a Zen-style sand and rock gardens. Benefitting from a vast selection of Indonesian artifacts and antiques, this elegant room sleeps 2 people on two Mahogany twin beds. The highlighted features of the room are the hand carved bedside lamps, and the hand painted Madura panel, which is a fascinating backdrop for the beds. The ensuite bathroom owns a tropical garden bath, soothing water features and a plethora of traditional carvings. The colonial element of Africa's history has been tastefully captured within this majestic bedroom that sleeps 2 persons within the sold teak twin beds topped with animal skins and mosquito net drapes. With an interesting selection of carved shields and spears adorning the walls, it really does have the desired effect. The free-standing copper bathtub next to the open-air shower ensures you can take that soothing bath under starlight. Simply known as ‘White', this room sleeps 2 persons and comes equipped with an oversized, antique-bleached Javanese teak box bed, topped with hand embodied white cushions and white cotton drapes. Enjoy the private balcony that overlooks the swimming pool. The Main House area is a fascinating two-storey building designed with a fusion of Thai and Balinese architecture that houses three bedrooms/suite areas, the Lava Lounge (a home cinema/TV room) and the main kitchen. The bedrooms within this area (apart from The Dorm) all include flat screen TVs, DVD-players and Bose entertainment surround sound systems. Situated in the heart of the property, the richly designed Raj room sleeps two persons on the king-sized bed. The room is positioned at the end of the majestic wrap around deck terrace, showcasing great views overlooking the estate. Using a smattering of Shiraz, Copper and aubergine coloured silks, this passionate room sparks deep emotion. The ensuite bathroom benefits from a glass covered roof and a hand carved bathtub, where you can star gaze whilst soaking. The Rose suite exudes a feminine vibe to the surroundings with its lightly textured colours. Greeted at the entrance by a hand carved white and gold-wash Balinese temple door, the Rose suite has a beautiful plantation teak opium bed that sleeps 2 persons and an adjoining embodied armchair. The ensuite bathroom bestows custard-cream stone floors and gold rubbed towel rails. Situated on the ground floor next to the Lava Lounge, The Dorm has 4 bunk beds that really give the room a youthful exuberance and provides a fun element to the property. The room is decorated in light tones of turquoise and lime, which compliment the wooden floors and create a relaxing vibe. There is an ensuite bathroom with indoor shower and an outdoor garden shower. This beautifully designed self-contained villa comes equipped with two bedrooms, a kitchenette, and a spacious living area with 42” flat-screen TV, DVD player, Bose music system and satellite TV channels. The villa successfully merges a modern Asian design with antique Indonesian furniture and Balinese temple doors. The Bali Queen is the main bedroom, enjoying an oversized teak bed, carved headboards and traditional woven wall hangings. The ensuite bathroom owns an indoor and outdoor shower, and natural stone flooring. The Bali Twin owns two mahogany beds, French doors that lead to a private balcony that overlooks a therapeutic water feature, and an ensuite bathroom. The Bali House is ideal for couples and families, and there is nothing better than sitting out on the private terrace and gazing out towards the beauty of the tropical garden while listening to nature converse. The Lava Lounge is a cinema/TV room, which is part of the main house. This unbelievably comfortable room owns a massive 62 inch plasma flat-screen, luxurious custom designed Shiraz sofa bed seating, sleek wooden flooring and selection of DVDs and CDs that cover all genres known to man. This area is the quintessential chill-out zone – a great place to watch live sporting events and movies. The strategically placed lighting creates a relaxing atmosphere and the acoustic ceiling allows the sound system to resonate on a tranquil frequency. For sure, it doesn't come much better than the Lava Lounge! The Tamarind enjoys numerous sala and lounge areas that provide open-air relaxation. The Dining Pavilion is the main covered lounge area that sits comfortably poolside. Here you will find an area that can easily provide space for 24 people, 16 of which can dine at the majestic rectangular solid teak dining table. The Dining Pavilion makes for the ideal meeting place for people staying at the retreat. Directly adjacent to the Dining Pavilion, you will find the ultra-relaxing environment of the Spice Lounge. This open-air living room is positioned directly poolside with a selection of cushions and pillows that provide that comfort you expect from a lounge area. The Sunset Lounge is one of the best vantage points through the whole property. This open roof-terrace sits in an elevated location directly above the Dining Pavilion. The think cushioned benches and open air environment makes for the perfect spot to star gaze and enjoy the refreshing breeze. The Tower is an amazing feature of the Tamarind. Swooping majestically into the stratosphere, this 18 meter high watching tower provides amazing views over not only the luscious Tamarind trees but also the adjoining reservoir and distant sea-views. The unique nature of The Tower is what makes Tamarind such an interesting and intriguing property. Attention to detail is something that sets the Tamarind House apart from the rest. Unique features such as the Water Garden were a collaboration of a leading American architect and a Thai landscaper. The Water Garden has made the front cover of the Thai Home and Garden Magazine. The soothing backdrop of the cascading water features and the colouful fish provide a soothing ambience to the surroundings. The Massage Sala is one such unique feature that really captures the essence of Thailand and Asia. Picture enjoying a massage in the hands of a highly trained therapist while enjoying the relaxing sounds of the in-built music system! If you enjoy a wide range of sport and leisure facilities, the Tamarind will make your dreams come true. From the floodlit, top-quality private tennis court, pool table and table tennis table, to the fully equipped gymnasium, your sporting needs are truly covered. Other unique features include the interesting Boule Pit, which allows you to enjoy a game or two of this famous old French game. The Tamarind owns a multitude of tennis rackets and golf clubs just in case you want to partake in a selection of sporting activities. The Tamarind enjoys the luxury of a team of fully trained staff, from cooks and cleaners, to friendly guides and massage therapists who will organize any tour or whim you might desire. The staff are the friendliest people you could possibly imagine. They greet you when you arrive, and wave you goodbye when you leave. After 2 or 3 days at the house, you will feel you know the staff personally – that is how friendly they are. There are no set meals at the Tamarind, but you will be constantly asked what you would like to eat for each meal – the choice is yours. Not only are the meals delicious, but all the vegetables are grown at their own allotment, which ensures you are receiving the freshest organic produce imaginable. This is one of the best features of the house and its amazing services. The adjoining clubhouse – initially part of the estate before the Tamarind was constructed – is only 50 yards from the main house. Here you will find a completely renovated building with its own private swimming pool (with a children's pool), three extra bedrooms tastefully decorated in light tones, a living room, kitchen areas (indoor and outdoor), a dining area and a large sala. The clubhouse can sleep up to six people and is a great place for seminars, private parties, special events and meetings. The extra element that the Clubhouse gives the house is yet another string in the Tamarind's already full bow. The Tamarind is situated 25 minutes from Jomtien and 30 minutes from Pattaya in a wonderful countryside setting of unparalleled beauty. The retreat is geared towards the discerning traveler who wishes to sample that special slice of real Thailand with everything you could possibly desire at your fingertips. The relaxing atmosphere revitalizes the soul and replenishes and rejuvenates your energy. If you are looking to get away from the stresses and worries of the modern world, Tamarind is your much needed medication. Within a 30 minute drive, you can enjoy an amazing amount of attractions such as golf courses such as Phoenix, the Royal Navy Course, Siam Country Club, Century Country Club and Pattaya Country Club. As you can see, the Tamarind House is ideally located for golf lovers. 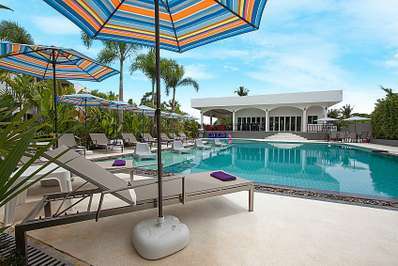 Other attractions within a short distance to the estate include the beautifully scenic beaches of Bang Saray and the Thai Navy Beach, which are within a ten-minute drive. These two beaches are uncluttered and uncrowded, allowing you that special and authentic paradise beach environment that Thailand is famous for. Located in South Pattaya, Pattaya. Thammachat Vints No.140 is a in Thailand.